Time to add these bad boys to your collection! A sturdy, pogi pair of kicks is a wardrobe staple for every man. After all, a well-chosen pair of classic tennis shoes means you’re good to go for practically any occasion coming your way. It’s no wonder then, that men often unwittingly start stockpiling shoes that all look the same. Every so often though, a pair of sneakers will come along bearing subtle features that make it stand out from all the rest. You’ll be surprised how a few little twists to the classic styles can take your outfit from plain and boring to cool and classy AF. 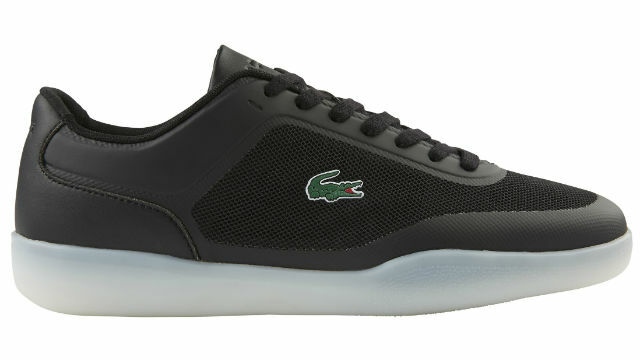 Take Lacoste’s new Endliner shoe for example. Not only does it sport bonded leather seams, embossed details on the collar, and the brand’s classic mesh sides, it also boasts a cool new take on the typical cupsole style: instead of the ubiquitous opaque white rim, its outsole is a translucent, frosted rubber that lets a hint of color to shine through. Trust us when we say this seemingly tiny detail gives this pair of kicks an undeniably modern look that scores a 10/10 on our porma scale. We especially like it in navy, an ever-versatile color that always looks good. 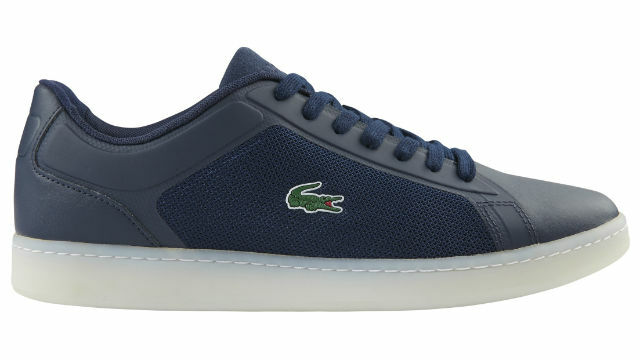 Also worth checking out is the Lacoste Tramline, which has the same uber cool frosted cupsole as the Endliner. We also very much appreciate the details on the eyestay and the collar, as well as its sleek silhouette thanks to the upper material being smoothly bonded and layered to its mesh sides. Get it in black and you’ll have a gwapo go-to pair for all your adventures! If you ask us, you can never own too many pairs of good-looking shoes. But if you’re running out of closet space and can only keep your best buddies on the rack, then we recommend you stick to these Lacoste pairs. With them, you’ll always be walking around with a subtle touch of porma no matter what you wear up top. Get your own pair of Endliner or Tramline at a Lacoste boutique near you and head over to www.pentstarsports.com to see more styles.